Hastings resident Robert L. “Bob” Fitzke, 78, passed away Monday, October 15, 2018, at CHI St. Francis, Grand Island, NE surrounded by his family that loved him dearly. Services are 2 p.m. Friday, October 19, at All Saints Chapel-Good Samaritan Village in Hastings with Pastor Charles Johnson and Pastor Renee Johnson officiating. Burial will be in St. Paul’s Lutheran Churchyard Cemetery, west of Glenvil. Memorials may be given to the family for a memorial to be established at a later date. Visitation will be 1-9 p.m. Thursday with family present 7-9 p.m. and 9-11 a.m. Friday at the funeral home. Bob was born October 8, 1940, in Fairfield, NE to Orville E. & Iola (Skinner) Fitzke. He graduated from Fairfield High School in 1958. Bob married Marilyn Stromer on October 18, 1959, at St. Paul’s Lutheran Church west of Glenvil. Bob retired from Feis Speidell after 33 years of selfless love and dedication. He was a member of several organizations throughout the years. 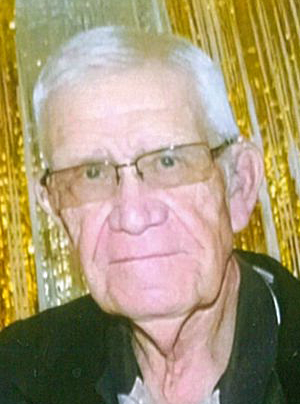 He was a member of St. Paul’s Lutheran Church west of Glenvil for over 60 years. Bob was a mentor to many throughout the years. Bob could be found on a softball field to a golf course to many Friday nights refereeing football. Bob could always be seen and often heard from the stands and sidelines watching his children, grandchildren, and great-grandchildren. Bob was an avid sportsman and followed his loved ones’ activities. Until Bob’s health failed, he and Marilyn loved to travel. They spent their winters in Arizona and Texas, and their annual trips to Estes Park, CO to see the elk. After moving to Good Samaritan Village, Bob’s passion besides golfing was taking care of the golf course at the Village for six years. He spent countless hours mowing, trimming, and grooming to have it look professional. That is the kind of man he was. Everything Bob did was done with perfection. He was a gentle giant of few words, that loved unconditionally. Bob was preceded in death by his parents, Orville E. & Iola Fitzke; parents-in-law, Paul & Mabel Stromer; son, Russell Fitzke; brother & sister-in-law, Eugene & Gail Fitzke; sister, Sharon Fitzke; and brother-in-law, Terry Straatmann.